Chia seeds are mini food powerhouses. They are filled with protein, have more calcium than milk, more antioxidants than berries, and more Omega-3 than Salmon. We love to sprinkle them on yogurt, in our smoothies or mix into homemade granola creations. I've tried store-bought kombucha with chia seeds in it. The texture, quite frankly, was gross. You see, when immersed and allowed to sit in liquid, chia seeds thicken and gel. Those jelly-like chia seeds remind me of, well, post-nasal drip. Eww! Hence, I have been reluctant to jump on the chia seed pudding bandwagon. That is until now. And to my very big surprise, I really liked it, a lot in fact. 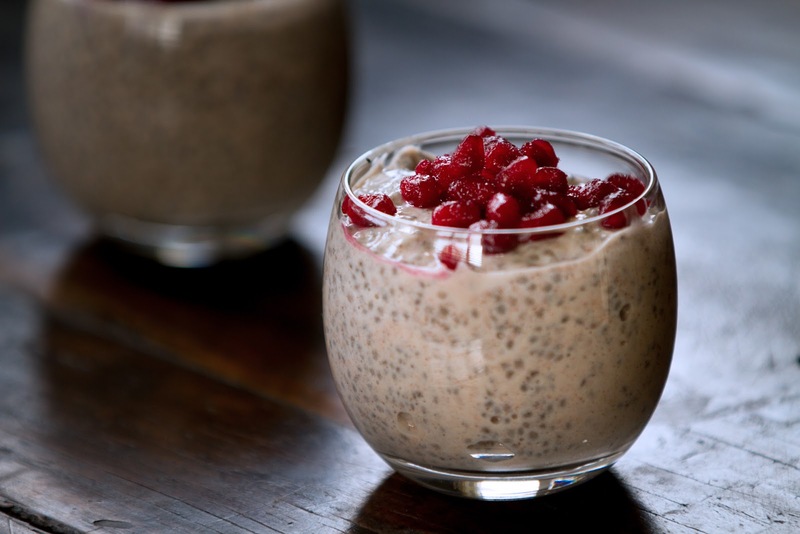 Chia seed pudding is ridiculously easy to make. Stir all the ingredients together, let it sit overnight, then divide into serving bowls, top with fruit, and eat. I love that once you master the chia seed to liquid ratio, you can customize the flavor in a variety of ways by using different spices, sweeteners, and even different types of dairy or non-dairy milk and yogurts. I admit the texture still might be off-putting to some people, but if you like tapioca pudding or bubble tea, I think you'll be able to handle this pudding. However, I'll let you in on a little secret, if you’re not into the texture, all you have to do is pour the pudding into a blender and process until smooth. Texture issues solved! Topped with fruit, nuts, or both, chia seed pudding is a healthy start to the day. 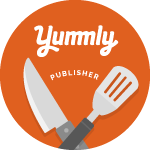 Add all the ingredients to a medium-sized mixing bowl and whisk vigorously to combine. Cover. Place in refrigerator. Whisk occasionally. Let sit overnight. Serve chilled. Distribute evenly between two bowls. Top each serving with a tablespoon of pomegranate seeds. Thanks! We've been hesitant to use the chia seed we bought for anything other than a sprinkle on oatmeal cereal. The little black guys always stick on my front teeth!! Haha! Chia seeds should really come with floss. The key to this is letting it sit overnight! If you do not soak Chia, you might have REALLY awful stomach issues. My boyfriend loves making this and it is his go to breakfast! We definitely have it in high rotation for breakfast now. 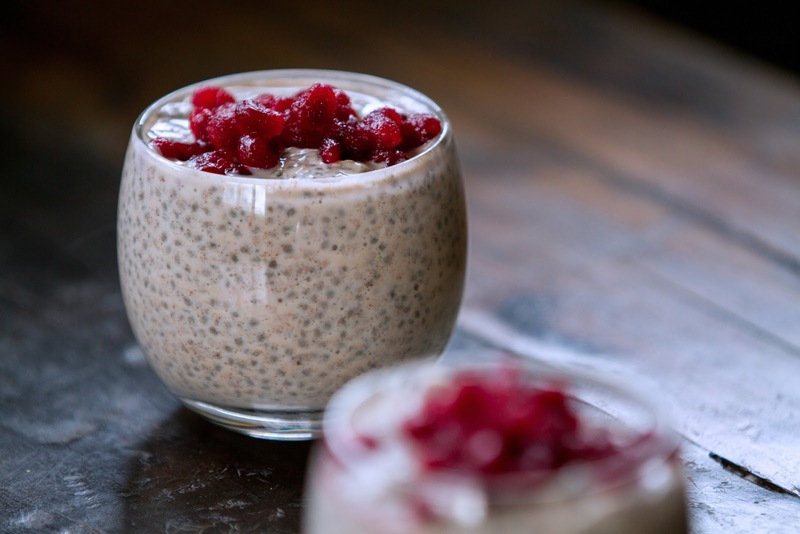 Thanks for sharing the recipe - I've been wanting to try chia seeds after hearing of all their health benefits, but have not yet had the courage to do so! Hope this gives you the extra push to try them.